Well, Everytime microsoft start releasing a new operating system, several tools start cropping up which can enable the new looks to the previous operating system to the new one. Same thing is happening with release of Windows 7. Many of you must have installed vista transformation pack after Vista was released. It was released by WindowsXlive. Same guy has updated that pack to Windows 7 transformation pack and released version 1.0. The installation on XP wasnt too long just the normal install stuff for any windows user. This setup changes the look and feel of XP by replacing some system files of XP along with use of some third party applications like Vistart. The transformation pack does a good job although. Its able to change the boot screenÂ same as that of windows 7 almost along with logon screen and the taskbar. It Still got the sidebar of vista though which can be disabled in options if you dont like it. 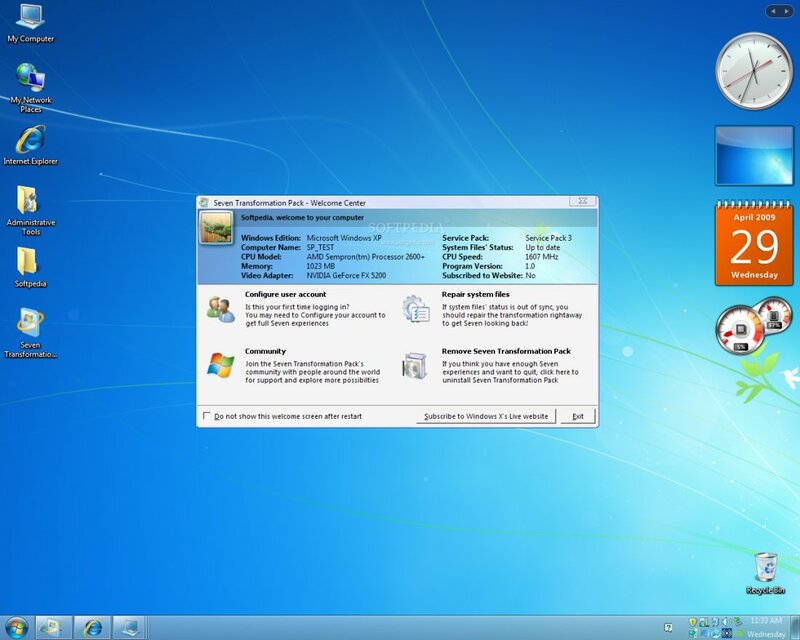 This is worth a try for any of you who wana see how windows 7 looks like on your system. But just keep in mind, its just the change in looks not the original windows 7. -Updated logon screen with horizontal account list. Dreamhost one(1) year of web hosting with free domain for just $9.24!